This stuff is black gold - sticky black rice with sesame seeds. 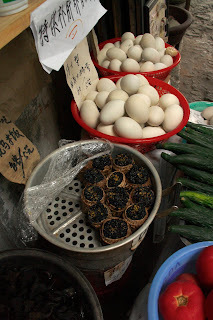 You won't find these hand-woven parcels everywhere on the street but from time to time you might see a street-side steamer basket full of odd-looking black packages. You can expect to pay about 5 yuan for the rice, its basket, and a cute little fork. The glutinous black rice - once called 'Forbidden Rice' because it was served only to Emperors and forbidden to mere mortals - is naturally slightly sweet and cooked here with toasted sesame seeds for texture and flavour. Savoury versions are also sold, usually with pork, chinese sausage or mushrooms. 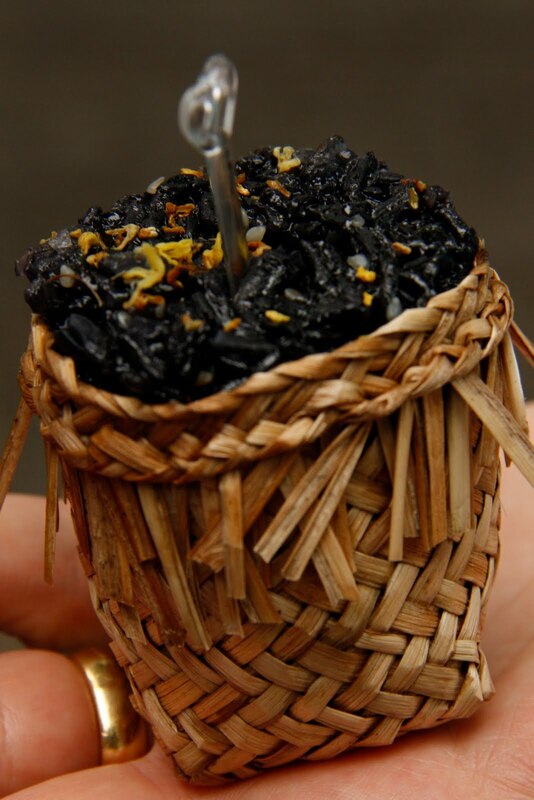 The bamboo basket adds a unique aroma and flavour of its own, woody and grassy, enhancing the natural nuttiness of the black rice. As for myself, I was ridiculously impressed by the handiwork of the basket maker, and if it had been made by the same ancient lady selling them, she must have nimble fingers indeed. Suddenly, I wanted small collared plaited grass baskets around my coffee cups, my rice bowls, my drinking glasses, my vinegar bottle.....then I realised that the charm of these small things is that they are not seen everywhere.